« Don’t overlook Rhubarb – grow it, cook it, it’s simply delicious! Easter is here and it’s a great time to get outdoors and enjoy all that Spring has to offer, the garden is coming to life, buds are bursting, daffodils are dazzling and the birds are busy building their nests and singing loudly, especially early in the morning. Traditionally an Easter Egg Hunt takes place in the garden, of course you can always have them indoors around the house, here is another version if space is limited, it’s great fun and perfect for a children’s party. 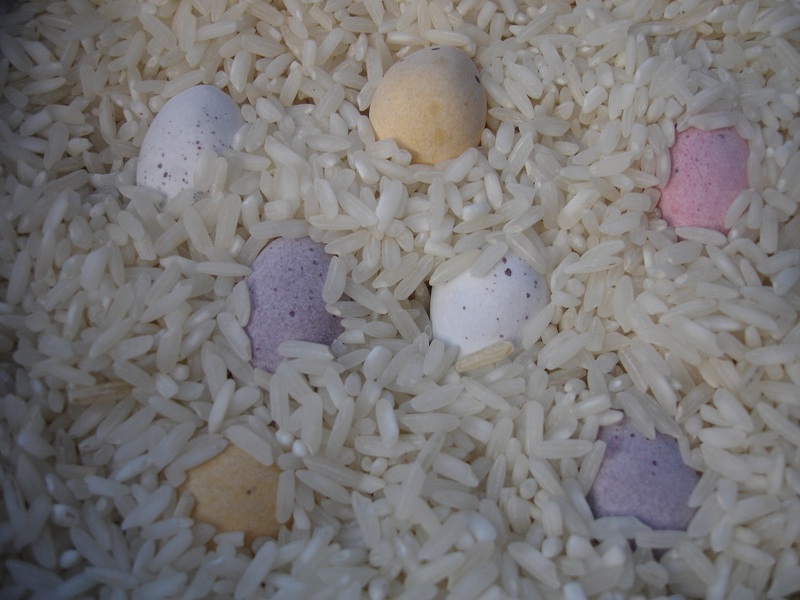 Fill your container with rice and push in your eggs (you could use different sizes of mini Easter eggs). Place your container on the floor with a table cloth underneath to catch any rice. Each child takes it in turn to kneel on the floor, blindfolded and find as many eggs as they can in 1 minute. Count and record the number of eggs found and return to the rice for the next person. The winner is the one who finds the most eggs. 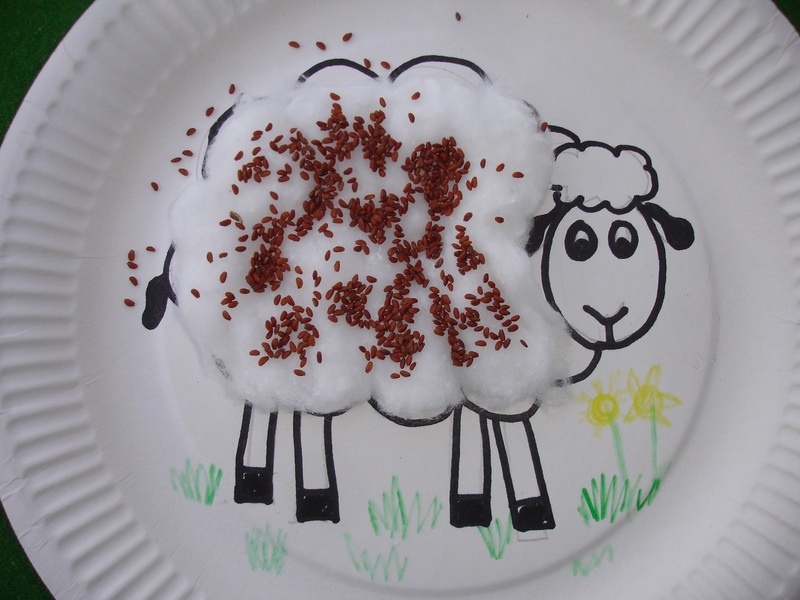 Lambs are synonymous with Spring, why not get crafty and make a Lamb which will grow. 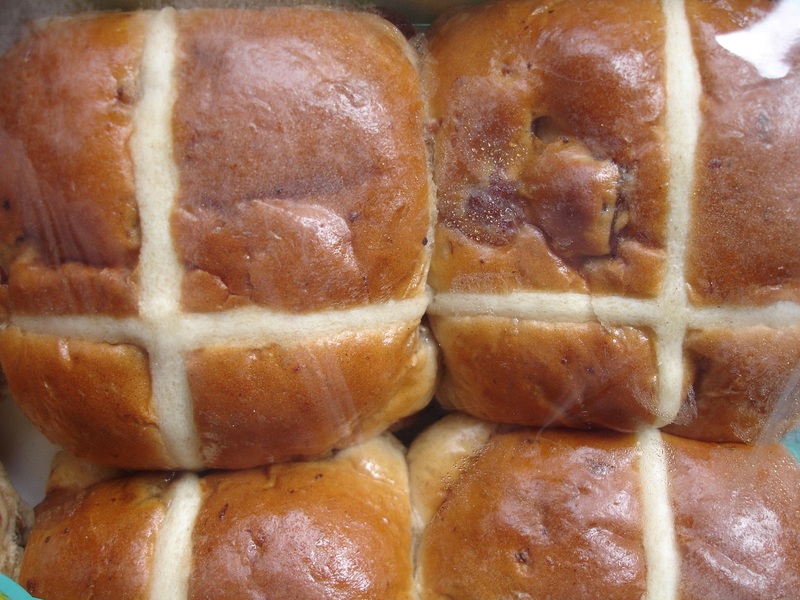 Hot Cross Buns are traditionally eaten toasted and buttered, why not have a change and make them into a delicious dessert, it would be ideal for an Easter family get together and is a great way to use up buns that have gone dry. Cut your buns in half and butter both sides then cut each half into quarters. Layer the bottom quarters butter side up in the dish and sprinkle over the Raisins and Sultanas. Whisk the eggs, milk, sugar and nutmeg together and pour about two thirdsof the mixture over the buns and leave to soak in, then place the remaining ‘top’ quarters on top with the top of the bun upwards and pour over the remaining custard mix, press down lightly and leave to soak in again. Preheat the oven to 180C and bake for approx. 40 minutes or until golden brown on top check that all the custard is cooked through, dust with icing sugar. For more fun, crafty and delicious Easter activities click here.